Looky here, another post on the old 'o Stuff. October is obviously a great month for Horror and dark stories and this past October, I had a pretty good fill of darkness. The month started with Seanan McGuire’s enormously fun, Boneyard, a weird western/horror novel set in the world of the Dead Lands RPG. 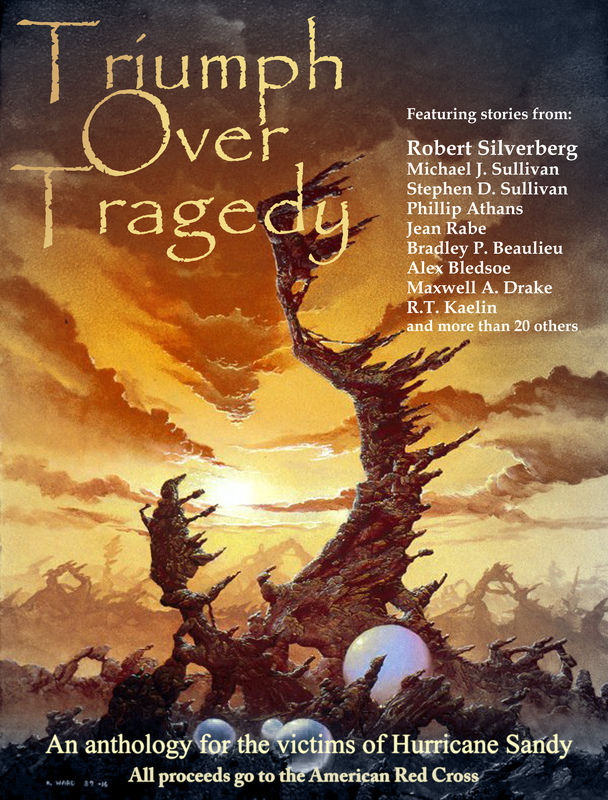 I reviewed that for SFFWorld so you can head over there for my full thoughts, but bottom line: engaging, harrowing, and entertaining. But backtracking a little, September ended and October began with a vampire novel, but not an ordinary vampire novel. The late Octavia Butler’s contribution to the vampire mythos, Fledgling is more science fiction than horror, although there are of course some dark elements to the novel. Butler is never one to shy away from uncomfortable elements in her fiction and making her vampire appear to be a young girl leaves a great deal of room for many uncomfortable scenes. I love her Lilith’s Brood / Xenogenesis series and this one is pretty good, too. I really like her concept for the Vampire and how even the “vampires” themselves are unsure of their own history at times. This was an audio read. Right about the time I was juggling those two books, I watched You Might be the Killer the movie based on the entertaining twitter conversation between Sam Sykes and Chuck Wendig. The film was at Fantastic Fest in late September and premiered on the SyFy network on the first Saturday in October, which also happened to be the Saturday of New York Comic Con. The movie was a lot of fun and works as sort of a mash up of Scream and Cabin in the Woods. 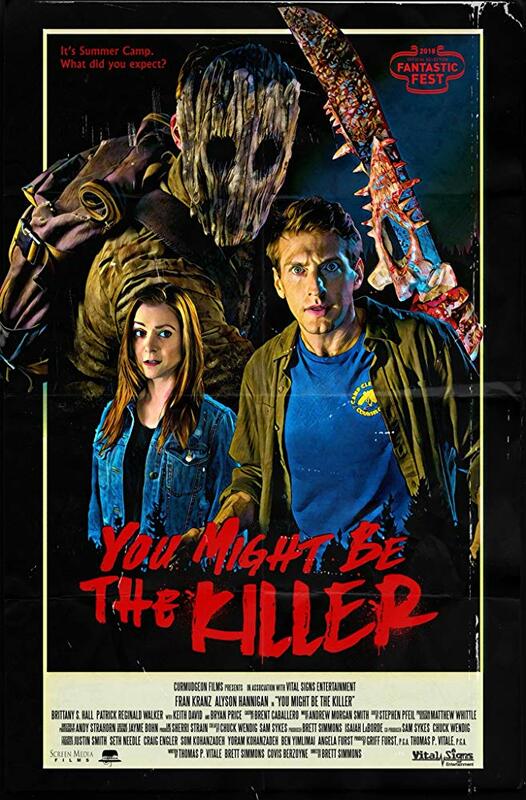 The film stars Fran Kranz (who also starred in Cabin in the Woods, which happened to air just before You Might be the Killer premiered on SyFy) as an out of breath, on the run camp counselor named Sam who calls his friend Chuck, a video store clerk portrayed by Alyson Hannigan. The movie doesn’t waste time with revealing the obvious – that Sam is the killer. From there, it is a fun 90 minutes or so. I’ll be making this a re-watch come every October. The film worked for me on a few different levels, I like horror, I like humor, and I like both Chuck Wendig and Sam Sykes. Beyond that, the film is a fun send up of the Slasher subgenre of horror movies. I finally started and finished a Clive Barker novel - Damnation Game, his first novel, in fact. The novel was a bit slow, but a very nuanced novel I thought. More subtle, at least in some parts and through some plot movements, than I would have expected from the man who gave us Hellraiser. Simon Vance is a renowned narrator and he did bring a nice level of class to the performance. The story tells the tale of an ancient man who is in debt to an even older creature. This is very much in the vein of the classic Faust tale and mixes in some pretty gruesome imagery. Another solid page turner for the moth was Sarah Pinborough’s Breeding Ground. This is a horrific post-apocalyptic tale of women randomly giving birth to spider like creatures. Some great character stuff throughout against gorrific imagery. I would have liked a clearer explanation of the how and why of everything, if I’m being honest. Nonetheless, a good page turner. 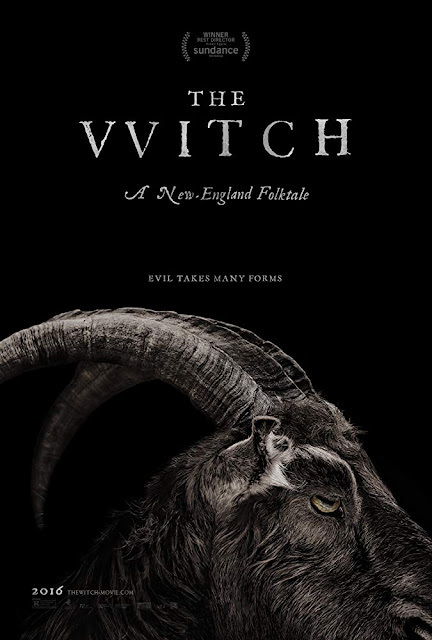 The Witch is a movie that’s been on my radar since it hit theaters in 2015 and I finally watched it in the middle October. In the early 1600s of New England, a family of 6 (Mother, Father, baby, young twins, and eldest daughter) is banished from their church. They are left to make a home at the edge of a forest that holds dark secrets. 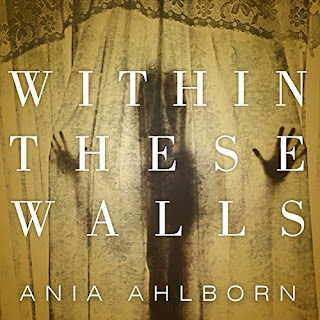 Immediately, the baby of the family disappears and because eldest daughter Tomasin is last seen with the baby, she is blamed for the disappearance and even called a witch by the twins of the family. The film is extremely tense, has a wonderful atmosphere which lends such an immersive feel to the film, and leaves much of the terror to build on the raw emotions of the family. It was a fairly slow-moving film, but that pace was a deliberate effect that worked to reward patience. A modern classic, one might say about The Witch. 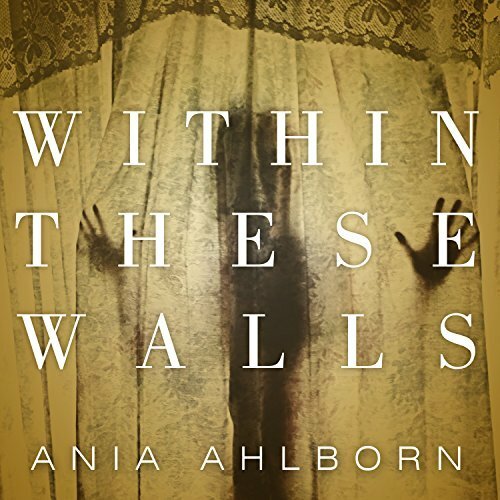 As the month changes to November, I’m in the middle of the audiobook of Within These Walls by Ania Ahlborn narrated by R.C. Bray. I am thoroughly enjoying this novel which tells the story of a down on his luck true crime writer who is given a golden ticket to interview an infamous mass murderer. Think Charles Manson, except this killer never talks to the press. The catch – protagonist Lucas Graham has to live in the house where the murderer committed his heinous acts. As of this post, I'm about a third to halfway through the book. The novel is filled with negative emotions and anger, but that combination makes for an extremely compelling read especially from the great performance by R.C. Bray. 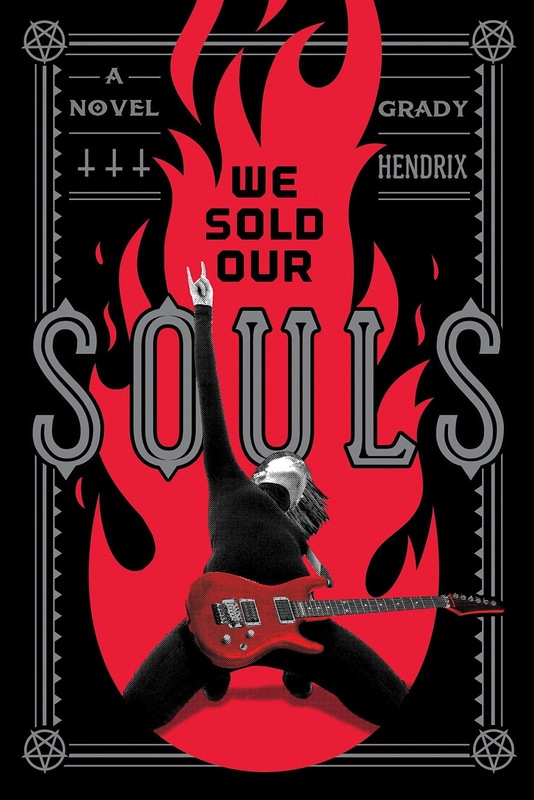 The absolute standout Hallowe’en thing for me, and book/novel that is on my top 10 of the year and one of my instant classic favorite horror novels of all time was We Sold Our Souls by Grady Hendrix. In a brief amount of time, Grady’s become a leading voice in the horror genre and although I’ve only read one other novel (the outstanding My Best Friend's Exorcism) by him, it is clear to me he’s a writer with great skill and honesty in his fiction. I also adore his Paperbacks from Hell book, an appreciation of Horror fiction of the 1970s, 80s, and 90s as well as his Great Stephen King Re-Read at Tor.com. 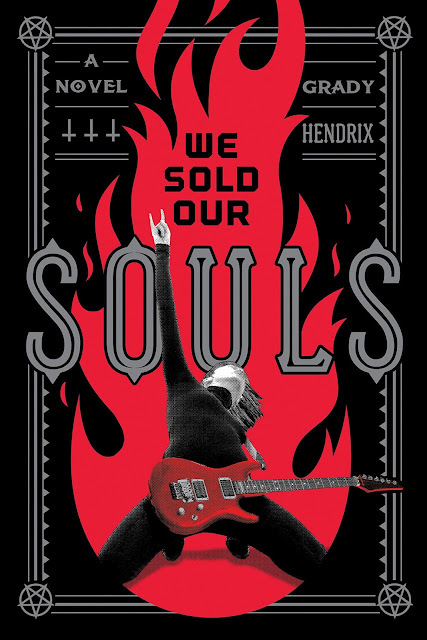 In We Sold Our Souls Grady managed to combine two of my favorite things in the world with this novel: heavy metal music and horror fiction. To that combo, he added a phenomenal protagonist in Kris Pulaski, the lone woman in the band Dürt Würk and our primary P.O.V. character. Kris is at the bottom of her rope despite having a once moderately successful gig as the guitarist for 1980s Metal band Dürt Würk. That all changed when her one-time best friend and lead singer of Dürt Würk Terry Hunt broke away from the band on “Contract Night.” This was a night few can remember, but changed the fate of the band forever. Grady does a masterful job immersing the reader in the heavy metal world and playing with some dark elements like Black Iron Mountain, the driving force behind Terry’s new band Koffin. Grady takes readers on a cross-country journey that never falters, never takes a guitar solo of a break and is a relentless novel. Highly, highly recommended. So there you have it, a recap of Hallowe'en fictional adventures for 2018. Your favorite band has broken up, maybe they changed lead singers. For me that was Iron Maiden when Bruce Dickinson stepped away is front man for Maiden 1993. When news broke in 1999 that he would be returning, I was excited, and a little nervous. What emerged was a great album (Brave New World) and a tour to support it that would be great. Enough about me and my favorite band, on to Nicholas Eames’s rocking and thrashing debut novel, Kings of the Wyld. 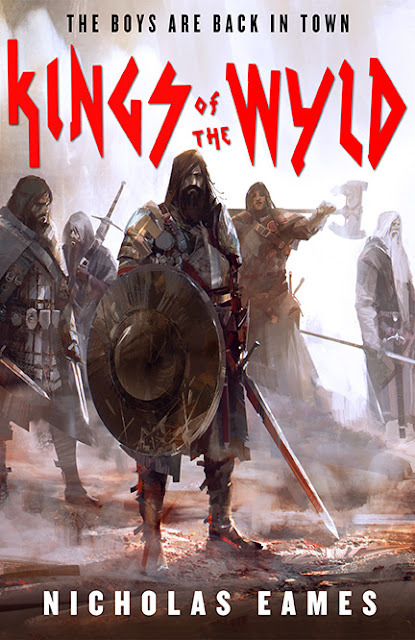 That is essentially what Nicholas Eames seems to be attempting to capture with his debut novel Kings of the Wyld, the first installment of the series he’s calling The Band. Clay Cooper and his band were once the best of the best -- the meanest, dirtiest, most feared crew of mercenaries this side of the Heartwyld. Their glory days long past, the mercs have grown apart and grown old, fat, drunk - or a combination of the three. Then an ex-bandmate turns up at Clay's door with a plea for help. His daughter Rose is trapped in a city besieged by an enemy one hundred thousand strong and hungry for blood. Rescuing Rose is the kind of mission that only the very brave or the very stupid would sign up for. It's time to get the band back together for one last tour across the Wyld. Clay Cooper is living a harmonious life with his wife and daughter, his violent past as a member of Saga behind him. Of course, when his former bandmate Gabriel the Golden comes asking – begging – for help in finding his own lost daughter, Clay realizes he can’t say no. What follows is a rip-roaring tour of the land as Clay and Gabriel get the band back together: wizard Moog afflicted with Rot; warrior-born Ganelorn who was turned to stone; and Matrick; the overweight and somewhat emasculated/henpecked king. Moog is the most willing and easiest former band member to get “back on stage and tour,” while Ganelorn and Matrick prove rather difficult for their own reasons. Once that business is over, you’d think it would be simple to find Gabriel’s daughter Rose. On the way to freeing Ganelorn from his year’s-long stone prison, they piss off the man responsible. In re-recruiting Matrick, Saga pissed off his unreasonable wife to the point where the only way to get him out of his castle was to fake his death. Matty’s wife sends a bounty-hunter, Larkspur, to reclaim the “fallen” king, which makes the quest to save Gabe’s daughter even They also clash with Lastleaf, the last ‘druin’ who is looking to reclaim Castia for his near-extinct people. The druin are the elder race who are long-lived, pointy-eared and powerful. Think elves with attitude. The leader of the Band is considered “the Frontman,” the big man wields an Axe and “bands” of mercenaries are hired for gigs either to vanquish a problem or perform/compete in arenas. The bard of the band has a tendency to die, much like the drummer of Spinal Tap and the way around that by novel's end is quite ingenious. A large region is called Coverdale. If “Golden Gabriel” doesn’t bring to mind a lead singer, then you haven’t seen Almost Famous. Moog’s deceased husband is named Fredrick, in homage to Freddy Mercury of Queen. Mattrick Skulldrummer’s weapons of choice are a pair of knives which he furiously wields in battle, not unlike a drummer furiously bashing drums with his drumstick. Hell, the tagline “The Boys are Back In Town” is the title of a rock classic from the 1970s by Thin Lizzy. I think I’ve only touched the surface of the many allusions and references throughout the novel. Briefly, then, we’ve got a break-neck adventure novel that reads like the most well-crafted RPG session turned into novel form with unassuming and assured skill. Kings of the Wyld is deeper than that, though. Clay is our point man for the novel and the range of emotions Eames shows through his mind is genuine and bordering on profound. 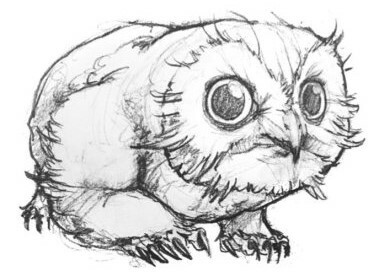 Sure, this is a rollicking fantasy novel with awesome monsters, zombies…er rather an “unkillable” character, owlbears (! ), fantasy races, and wizards, but Eames has Some Things to Say. Through Clay - whose “weapon of choice”, a shield, says a lot about his character - there’s an intriguing internal struggle about overcoming baser instincts. appreciating what is front of you, revisiting the past, and the bonds of friendship that can strengthen into bonds of family. One of Saga’s members, Moog the wizard is gay, and it just is. No big deal over it and all the bandmates accept it. What little they say about it, and many other characters, is more powerful than making an overtly big deal about it. Heavy Metal/Hard Rock and Fantasy have long been intertwined, just look at some album covers from the 1970s and 1980s from bands like Iron Maiden, Manowar, or Ronnie James Dio (whose first band was called Elf) to more recent bands like Blind Guardian or Rhapsody. You’d think there’d be a novel like Kings of the Wyld years ago. You’d be wrong and sure a band of mercenaries and a world described in Rock/Heavy Metal metaphors is a neat hook, Eames has such great humor and storytelling chops that the novel rises above even that great idea. This book slipped down Mount ToBeRead a bit last year, but I saw quite a few folks talking about it on twitter over the past few months which pushed me to pick it up and read it, I am extremely glad I did and can’t wait to get my hands on the second in the series The Bloody Rose later this summer. Nicholas Eame’s Web site is well worth a visit especially the page featuring the fantastic artwork depicting characters and creatures of the world. 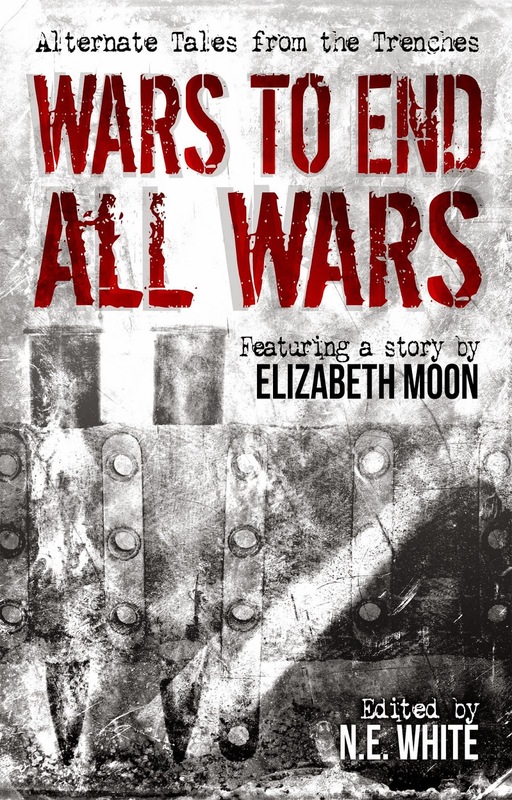 The book has struck a chord over the last year since it published, having already inspired its own TVTropes page. Bottom line, you want to get a floor-seat to the Kings of the Wyld so you can experience Clay, Gabe, Ganelorn, Matty, and Moog (and new addition, Kit), perform in all their Rock Glory.